At JM Joinery Hereford we pride ourselves on the wooden sash window we have designed. Over the years since we started in 2000 we were never completely happy with the traditional design other companies used. 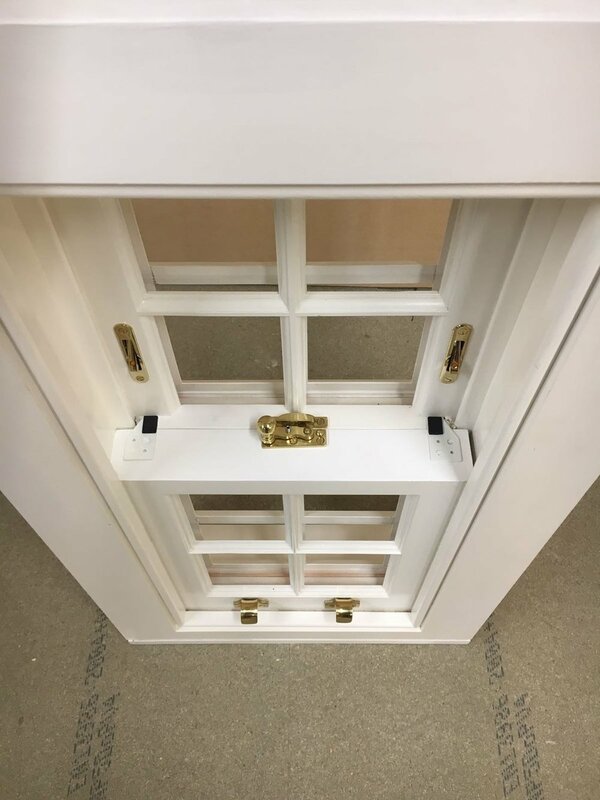 With new window technology we have designed and tested our sash window against extreme weather conditions and it has performed excellently, while maintaining the traditional look of the sash that we all love. We make sure all the end grain has been sealed before we apply 4 coats of durable paint. The glazing system incorporates hidden weepholes and air gapes that offer problem free glazing that extends the life of the glass compared with silicon glazing systems. We are confident that you will enjoy your sash windows for many years due to the future proofing steps we take. 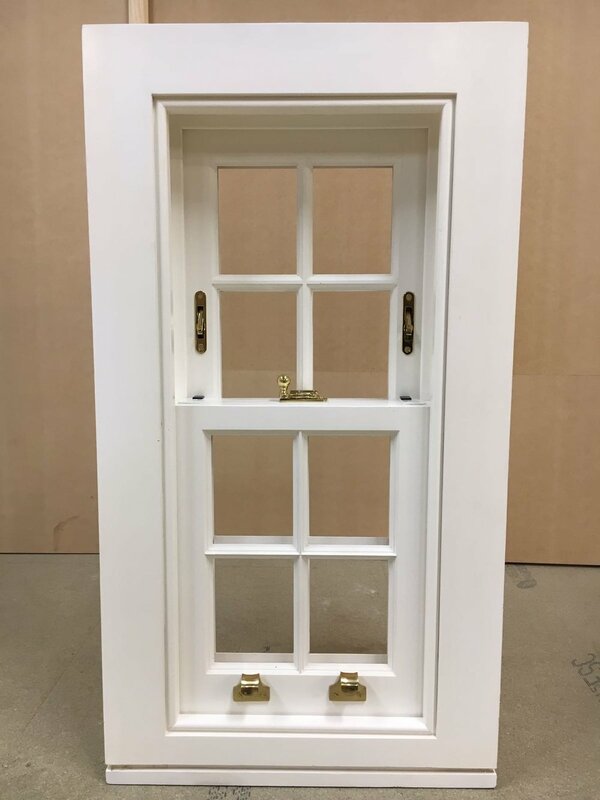 We have created a model sash window for customers to come into our workshop and see, this helps to get a feel for the windows they purchase. Below are a few photos to have a look at. Wooden Sash Windows, Traditional Flush Windows, Stormproof Windows, Double Seal Windows, Hardwood Windows, Softwood Windows, Painted Windows, Bi-fold door sets, single doors, French Doors, Gates, Cabinets, Wardrobes, Storage Solutions, Oak Staircases, open tread stairs, Closed String Stairs, Winder Stairs, Cut string staircases, Conservatories, GArden Rooms, Carpentry Services.